If you’ve spent any time in the legacy payment industry, you come to understand the direct relationship between Issuance and Acceptance. One cannot exist for very long without the other. In short, anyone can issue a payment instrument, but if no one accepts it, it quickly loses its marginal utility and dies. Think of all the credit card, mobile payment and loyalty schemes that were issued but never achieved enough acceptance to be useful. Crypto currency is currently in a mass issuance phase. Every day, more and more crypto currency is issued, but there are precious few places that accept crypto in return for goods and services. As a payment mechanism, crypto currency is subject to the same issuance and acceptance principles as any other instrument. Outside of the efforts of Bitpay, Square and a few others, there doesn’t seem to be much urgency around fostering acceptance. So the question remains. How do we scale acceptance? Well, the first hurtle is to design a currency that is suitable replacement for credit cards. Today’s legacy credit card networks consistently process transactions in under six seconds and also scale pretty well. The Visa network reportedly scales to approximately 60,000 transactions per second and supports over $13 Trillion in annual commerce. They also support credit, debit, pre-paid and loyalty transaction types and refunds and voids within those transaction types. They also protect merchants from consumer non-payment and consumers from merchant fraud which allows consumers to confidently transact with new merchants knowing that their satisfaction is essentially guaranteed. All of these are important factors to fostering acceptance. There are also some problems. Settlement can take 24-48 hours. As a form of internet payment, credit cards are inherently flawed. It is just too easy to complete a fraudulent transaction with a stolen credit card number. Merchants have essentially had to bear the cost of this flaw in the form of chargebacks and lost merchandise for decades. So from the merchant’s standpoint, there is plenty of room for improvement. So how do crypto currencies stack up as an alternative to Visa and Mastercard? Let’s start with the 800 lb gorilla, Bitcoin. Bitcoin is by far the most valuable and widely-held crypto-currency but as a payment mechanism, it is not ideal. Transactions can take over and hour to confirm. Its value fluctuates wildly and transaction fees are currently much higher than credit card networks. The gaming platform Steam recently stopped accepting Bitcoin due to, “High Fees and Price Volatility”. There are no credit transactions, refunds and voids are difficult to do, and most importantly there is no mechanism for dispute resolution. Bitcoin transactions are essentially cash transactions, if a merchant defrauds you, tough luck. In sum, although major improvements like the Lighting Network are in the works, Bitcoin is not and will not be a suitable replacement candidate for the credit card networks anytime soon. There are however reasons to be optimistic. Newer blockchains like Ethereum, Dash, and Monero have improved significantly on transaction speed, fees and scalability. Sending a $0.01 transaction over the Ethereum network is usually faster and costs significantly less than the same transaction on the bitcoin network. It should be noted here that there is no set price for a bitcoin transaction. Essentially, the more you pay the faster your transaction is processed. 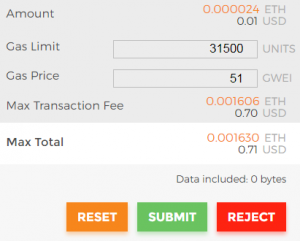 Popular desktop and exchange wallets attempt to calculate a fee that will get your transaction processed in a reasonable amount of time. 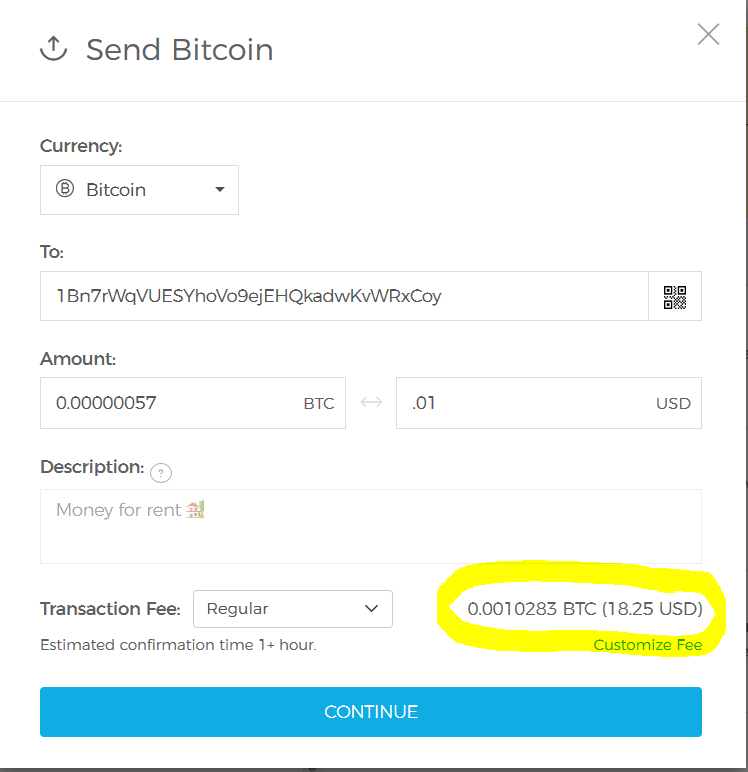 But the transaction fee can be overwritten as long as you are willing to wait a long time for the transaction to complete. Things will really start to get interesting next year when new systems like EOS and IOTA go live. EOS has no transaction fees and is the first blockchain to introduce a user agreement that defines the transactions legal venue and binds each participant to arbitration to settle disputes. IOTA is a new distributed ledger that’s not a blockchain. It a new structure called a Tangle and has some interesting properties. To solve the scalability problem, each participant must process two transactions before they can process their own. Meaning the system essentially gets faster as more people use it. IOTA is specifically targeting the machine-to-machine market (i.e., IoT, IoTa get it!). No transaction fees make it possible to process large numbers of very small transactions, which is perfect for IoT. But even these latest entrants are not feature-complete replacements for Visa and MasterCard, so it is unlikely that we will see retailers migrate to crypto-currencies en masse anytime soon. So, what can the crypto community do to foster acceptance? In addition to fast confirmation and scalability, they need to overcome two other key obstacles – usability and dispute resolution. Usability rests on the skillful integration of cryptocurrencies into wallets and other payment apps that the average consumer can operate without a technical background or understanding of blockchain. Currently, sending cryptocurrencies requires some familiarity with crypto wallets and addresses, and is often a daunting process. However, many ventures are working to solve the UI/UX challenge and it is likely that multiple easy to use apps will be here within the next year or two. The more difficult problem is “dispute resolution.” Replacing Visa and MasterCard will require a cryptocurrency that can offer the same purchase protections as a credit card, which is challenging given the decentralized architecture of blockchains. In conclusion, there is currently no drop-in replacement for the legacy credit card networks, and there won’t be anytime soon. As these systems mature, processing times decrease, scalability increases and transaction fees are eliminated entirely, we will begin to approach the holy grail of payment processing; an infinitely scalable settlement platform with sub-second response time that protects consumers against merchant fraud. A system that will finally fulfill the promise of blockchain technology by delivering financial services to billions of people who have never had a bank account, checking account, credit card, or loan or any of the financial services we take for granted. I cannot wait!